In our pursuit to unite business policies with green policies, we’re going beyond simply using public transit, biking to work, and recycling our green tea bottles, which we do anyway. One of our foremost aspirations at PaySimple is to simplify billing processes and empower small businesses to succeed. Taking that a step further, when small businesses and online billing come together, we’re succeeding not only in the marketplace, but also in reducing our impact on the environment. Small businesses across the country spend thousands of dollars every day on paper, printing and postage to bill clients. By moving all your invoices and receipts into the magnificent, paperless world of the Internet, you are effectively tossing all of those expenses in the compost pile, or recycle bin–or whatever you do with your trash. 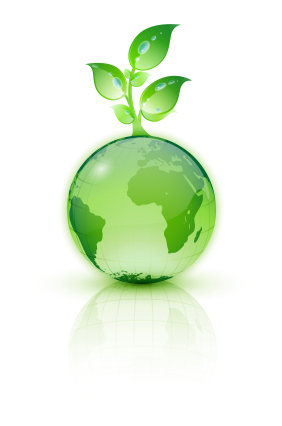 In the process of saving your business money, you’ll also be saving trees, water and energy. Think of paperless billing as your company’s way of thinking globally and acting locally. If you’re wondering just what kind of impact you and your business can have, below is a posting from ElectronicPayments.org, which estimates the environmental upshot if every household in the U.S. paid their bills online. Save 18.5 million trees each year, or the amount of lumber needed for 216,054 typical single-family homes. Save more than 15.8 billion gallons of wastewater a year, more than that generated by the city of Fresno, Calif.
Save more than 29 trillion BTUs, more than enough energy to provide residential power to the city of Jacksonville, Fla. for one year. Reduce toxic air pollutants by 2.2 billion tons of CO2 equivalents, akin to having 390,326 fewer cars. Reduce by 1.7 billion pounds the solid waste generated in a year, equal to the raw tonnage generated by Detroit in a year’s time. Save landfill space and curb the amount of toxic chemicals – including methane gas – released into the atmosphere as paper decomposes. A contributor to global warming, methane gas has 21 times the heat-trapping power of carbon monoxide. Many small businesses are created on a foundation of integrity, but due to budgetary restraints, decisions are often made on a basis of what is “financially sound,” and not necessarily what is “environmentally sound.” By creating platforms for small businesses to shine, we hope to change the way businesses think, to show that financially and environmentally sound choices are in fact one and the same – and that tofu is nutritious and can actually be quite tasty when prepared with the right seasonings.